In 2018, International Women’s Day(IWD) follows an unprecedented global movement for women’s rights, equality and justice. 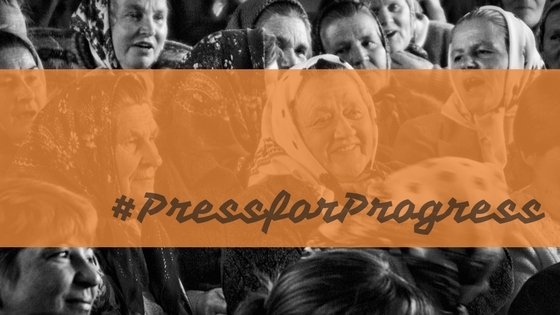 With the #MeToo and #TimesUp movement highlighting sexual harassment, a spotlight on domestic violence and women feeling more empowered than ever, this year’s campaign is called #PressforProgress. While the UN didn’t officially denote March 8th as IWD until 1975, the history stretches back to the USA in the early 1900’s when women marched for equal rights. At FoodFaith, we thought we’d make our celebrations a little more personal by chatting to some of our team and asking their thoughts. Here our two newest and only male team members – Christian Abad and Eric Liebl start us off with their thoughts. When asked what International Women’s Day means to me, I think about all the women in my life and their impact on my personal development. I think about my grandmother who took care of me as a child while both of my parents worked. The woman who raised my seven aunts and uncles all while working full time in the Phillipines. The one who introduced me to classical music and cooked chips for me daily, my most fond memories while growing up. I think about my mother, the person who has made so many sacrifices for others. Someone who immigrated to the United States alone at a young age so her family in the future will have better opportunities. The person who sponsored and housed her brothers and sisters so that they can live a better life in the United States. The woman who stayed by my side night and day as I laid in the intensive care unit when I was born. My guide for anything cooking related and personal guru in life lessons. The great individual who I love unconditionally. I think about my older sister, the one who I’ve shared countless laughs, meals and heartfelt conversations with. The woman who I bicker with constantly but who I have found a role model in and have the utmost respect for. This International Women’s Day, I say thank you to all the women in my life. I have been raised by strong, kind and intelligent women and am grateful for their presence and influence on the person I am today. International Women’s Day has become more present in my life in recent years. Throughout my childhood growing up in Minnesota in the United States I found strong examples of women in my mother and my teachers. My mother was the rock of my childhood and taught me unbelievable amounts of empathy and willingness to give of oneself to others. She leads by example. Her genuine interest in helping others inspires me to be like her everyday. She learned these skills from her mother who raised four girls and one handicapped son. My family has adhered to traditional gender roles in the past, but women like my mother have helped break through those roles and embrace who they truly are. Teachers also played a major role in my experiences with strong women as a child. Many of my teachers through early education were women who I looked up to and admired. By having these strong female influences in my early life, it gave me appreciation for both women and men as leaders and role models. In the past two years, my girlfriend has helped me become aware of gender disparities and difficulties we face with gender roles and stereotypes in society. She has opened my eyes and made me proud to declare myself a feminist. By calling me out in an effective way, she helped me change some of my habits and views for the better. I am so thankful for her influence in my life. I definitely see strides in the right direction for women and the push to narrow gender parity and abolish institutionalised sexism. However, there is still so much work to be done and I can’t wait to help be part of this change by using my actions in day to day life to lead by example, and call out others when necessary. There is a leader in all of us that tells us when someone’s actions or words aren’t quite right. Speaking up and defending your own ethics and morals will go a long way. Thank you to all the women in my life for their unbelievable influence on my life and thank you to women across the globe who persevere and lead every single day! You have all helped shaped me into who I am and changed me only for the better. Come back and check out our articles tomorrow and Thursday to see what some of the female members of our team have to say.